I’ve been getting a lot of emails lately from people wanting a tour of our urban farm. It is so amazingly flattering that people want to see what we’re doing but it breaks my heart every time when I have to tell them we can’t do it. I can totally understand why they want to see it because I love visiting other urban farms too. You get to see what others are doing and you learn so much. Everyone single one I’ve visited has inspired me in some way. Pluck and Feather has the most amazing chicken coop set up that I totally envy. 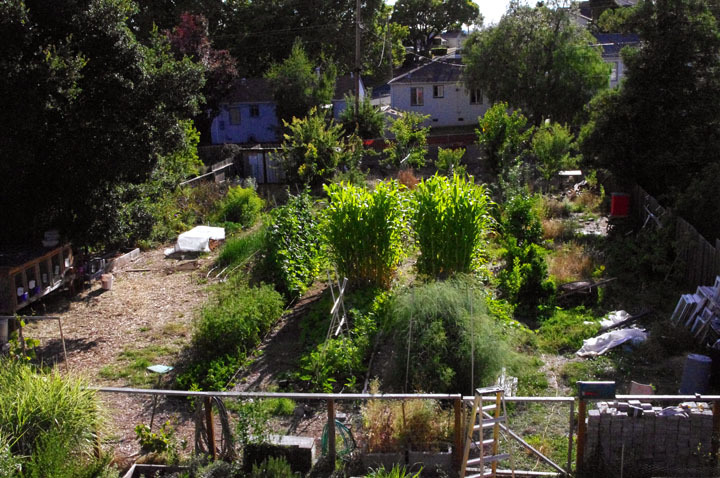 Itty Bitty Farm in the City amazes me with what can be done not only in a small backyard but on a fairly steep hill to boot. Havenscourt Homestead has a fantastic animal setup. Yes, It’s a Farm utilizes their front yard for vegetables (and they also have an amazing poultry setup as well). Last year I wrote a post about having to stop giving tours. Yes, we used to freely give tours because we love to teach people how to grow and raise their own food and we want them to be successful at it. Unfortunately things have not gotten better since that initial post. I would actually say they have gotten worse. Animals are being stolen or let out of backyards near busy roads. Backyards are being vandalized. Urban farmers, including us, are being contacted by animal rights activists under false pretenses (it’s amazing how useful the internet is at finding info on people) looking for access to our urban farm. This has gone from annoyance to real concern for our safety and that of our animals. We’re constantly increasing our home security (surveillance cameras were our latest addition). The safety and security of our family and animals is of the utmost importance to us. We had to prioritize what we felt was more important and unfortunately giving tours lost out. So please, if you email me about getting a tour (or wanting rabbits/turkeys/etc.) and my reply is “no” do not take it personally at all. We have learned that we just can’t be too careful. If you still want to learn more about urban farming we do offer consultations. Are you kidding??? There are people stupid enough in this world to do that??? Your farm is amazing, I have learned so much from your site and others listed. What an inspiration you are to those of us stuck in big cities. It’s criminal what people to harm others, they are not helping by releasing animals. Please keep providing the pics and blog for support to others. Keep up the great work; I’ve learned so much from your site and find it incredibly inspiring. I can’t blame you in the slightest. I’m just sad that circumstances have come to this. What happened to people behaving themselves and treating each other with basic decency? What happened to treating others as you’d like to be treated? I am really starting to wonder what’s going on in the world.